Regular upkeep of your hearing aids is an integral part of ensuring they continue to work correctly and can also help to extend their lifespan. Here is a list of some ways to help ensure your hearing aids stay clean and working to the best of their abilities. Keep the hearing aids clean and dry. After every use, wipe them with a soft cloth to help remove grease and moisture. Don’t use water or cleaning solutions as they can cause damage. Don’t place your hearing aid in water or liquids, as this can cause permanent damage. Do not treat the hearing aids roughly or drop them. Keep your hearing aids in a stable environment and avoid leaving them in direct sunlight or where they can get too hot such as on a windowsill or a parked car. Remove your hearing aids before showering, swimming, entering a steam bath or sauna, or during heavy rain. If your device does get exposed to water, humidity, or sweat, remove the battery, leave the compartment open and leave it to dry overnight. 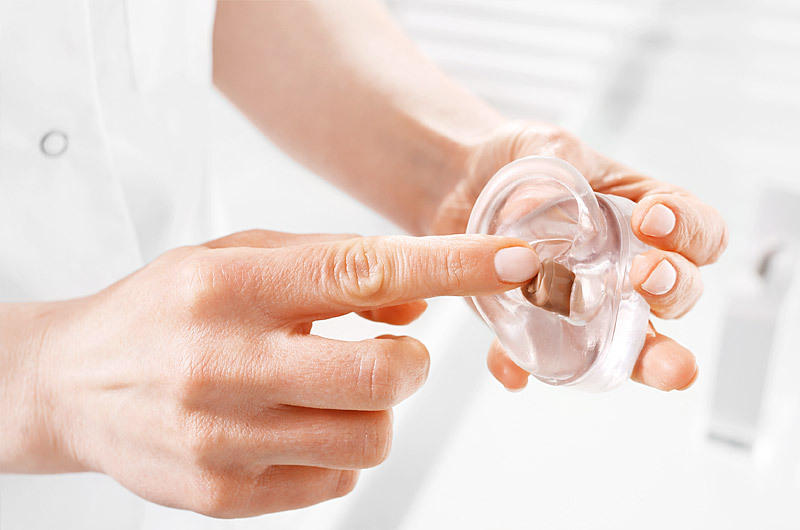 While applying lotions, cosmetics, perfumes, and other toiletries, remove your hearing aid. These products can get into the device and damage it. Purchasing and utilizing hearing aid specific cleaning products such as sanitizing sprays, drying kits, and cleaning tools can help them last longer. Our dedicated staff can also recommend or provide the appropriate devices for individuals who require hearing protection for work or leisure activities. For more information on the services and solutions provided by the specialists at Bravo Hearing Centre, see our hearing services page. If you’re looking for help and recommendations on purchasing and caring for a hearing aid, call the hearing solutions specialists at Bravo Hearing Centre today at 647-694-4626 or contact us to discuss our available options.